Gary Faber created NurtureSource Designs (NSD) in 2003 and has transformed over 700 homes for real estate agents and their sellers. In 2013 NSD prepared and presented 80 homes in Berkeley, Piedmont and Oakland. We contract with homesellers to transform their homes to make them more saleable at the best price. We provide services far beyond home staging. We are an “open secret” for many successful listing agents. Our collaboration usually helps agents secure listings by giving them a competitive advantage over other agents and companies. We are a Berkeley-based project management and design services company that believes a beautiful, move-in ready home sells quickly and for the best price. Our goal is to make homes as “move-in-ready” as possible in order to help sellers get the best price. Much of our work is contracted through our network of trade service associates that include general contractors, landscapes, painters, and interior designers. We draw upon the awe-inspiring natural splendor of the Bay Area environment to transform homes to reflect the surrounding nature. 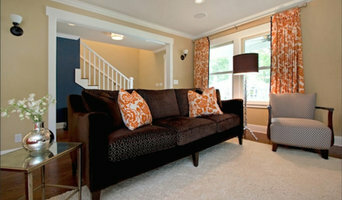 We utilize color and light theory, feng shui, and fine arts to enhance each home. Founding designers Jennifer Wundrow and Heather Brock established Nest Design Co., Inc. in 2009. Both having an affection for the ever-changing and uninhibited world of design. They came together over a glass of wine and their partnership emerged. The result is Nest Design Co., Inc. – a firm dedicated to providing its clients with a masterful mix of design and decor. With the belief that two heads are better than one Jennifer and Heather collectively lead the design of every project. Their affinity for mixing objects of different styles and eras, attention to detail, and adventurous use of color and texture are hallmarks of their fresh take. They pride themselves on maintaining preliminary budgets and tight deadlines, all while giving their clients a place they are excited to come home to. About Piper Stone Piper Stone is a boutique interior design firm located in the San Francisco Bay Area. We specialize in reimagining existing spaces, and we believe that form and function go hand-in-hand, and neither should be sacrificed for the other. Our attention to detail and thoughtful consideration of elements ensures that the result of every project is a fully-realized, beautiful interior that is reflective of your style and needs. Piper Stone was built on the idea that designing and remodeling should be a fun, transparent, and collaborative process. Good design should be accessible to everyone, and no budget is too large or too small. We work to bring you into the process and empower you to drive the decision making process and own the outcome. 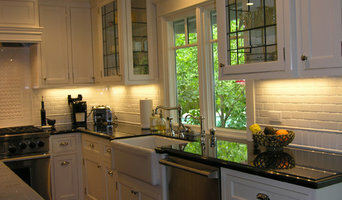 About Michael Stein Michael brings over 10 years of experience in custom remodeling and design. After working as a craftsman and finish carpenter specializing in the restoration of historic homes, Michael returned to school to pursue his degree in interior design, and went on to work in high-end residential and hospitality. He has a deep knowledge of construction process and management, as well as years of experience in designing custom furnishings and fixtures. He was worked with some of the best in the industry, and brings big firm knowledge and small firm customer service together to provide an expertly-managed, deeply personal, and hands-on approach to design. Lauren Nelson is an interior designer based in San Francisco area. She believes that when our surroundings are sources of comfort and inspiration, we lead happier lives. Lauren’s signature style layers old with new, bold with subtle, and raw with refined so that her spaces feel fresh, yet still timeless. 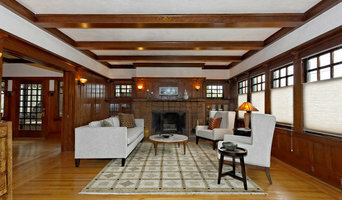 She pays special attention to the use of natural light, texture, and scale when designing homes or styling a shoot. When not decorating homes or on a shoot, Lauren is happily experimenting in the kitchen, at the beach with her dog Henry, or planning a trip with her husband Gabe. She is thankful to do what she loves and thinks laughter is the soul’s greatest medicine. Wright Stewart Jones Design Studio has established itself as a proven leader in interior design. Every project is led by the principal designer and supported by our design and administrative team to create a space that exceeds client’s expectations within the framework of their own tastes. We build a personal relationship with our clients in order to create their dream space. We are known for our creative, intuitive, imaginative, and yet practical and effective approaches to Interior Design. Our expertise, extensive resource base, rapport with contractors and sub-contractors and craftspeople, all combine to make the design and construction process as fun and satisfying as possible. Contra Costa County Interior Designer Best of Houzz 2014 - 2018! Check out Visual Jill's featured article on Houzz - Houzz Tour: Modern With a View to Being Warm and Cozy! Copy and paste the link below to read more. 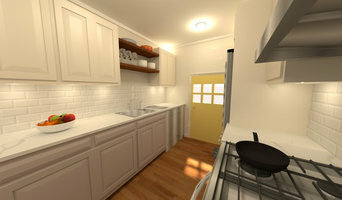 <a rel="nofollow" target="_blank" href="http://www.houzz.com/ideabooks/56750566/list/houzz-tour-modern-with-a-view-to-being-warm-and-cozy">http://www.houzz.com/ideabooks/56750566/list/houzz-tour-modern-with-a-view-to-being-warm-and-cozy</a> Visual Jill is a Berkeley-based interior decorating and home staging firm. Founder and CEO Jill McCoy has always been inspired by her Scandinavian roots. Our style is "comfortable modern" -- we are known for our use of color (in home furnishings, artwork and accent walls) and our trademark is our unique mix of mid-century, new, repurposed, and one-of-a-kind items. Visual Jill Interior Decorating is currently sharing retail discounts! Call or email for details. Artistic Designs for Living (ADL) creates exquisite living spaces that are as distinctive as our clients. We specialize in creating homes that are both beautiful and accessible and believe that every home should reflect the unique personality of its owners. ADL offers a full spectrum of design services from concept development through final installation. We were nicknamed "Jemily" in art school. We bring two very different design perspectives, constantly editing and balancing each other to create designs that are both functional and aesthetic. We are big believers in design as an exercise in enhancing the way real people live. Beauty, function, and livability are paramount to our client-centric credo. It’s not about us imposing our personal interior design signature on your lifestyle. Instead, we use our education and expertise to make your design goals come alive even better than you imagined. And with obsessive attention to aesthetic detail. We follow a philosophy of approachable luxury: “wow” enough to impress, and practical enough to last. Whether that’s a primary residence for an active and busy family, a vacation home near the sea or in the mountains, or some overdue updates to aging kitchens, laundry rooms, and baths, we can make the design and construction process fun, smooth, and efficient. As a Madison Avenue refugee with 20+ years of experience creating the “big idea” and managing clients, Sabrina has leveraged her hard-won skills for the benefit of her interior design clientele. She communicates the big picture, guides clients through a complex process, and ensures her team delivers what is promised. This commitment to quality customer service prompted a former colleague to quip, “If you want to get something done and done right, call Sabrina.” Sabrina is a Certified Interior Designer in California and opened her award-winning studio in 2011. Kimberley Harrison is known for crafting contemporary, family-friendly spaces imbued with a timeless sensibility. Her eponymous firm specializes in full-service interior design and full-scale remodels of residential projects in the San Francisco Bay Area. Working closely with her clients, Kimberley is able to realize their visions in a way that is meaningful, unique, and tailored to fit their individual aesthetic and needs. She is committed to pairing sophistication with functionality, and her projects consist of soothing spaces artfully layered with color, texture, and a touch of whimsy. Kimberley was recently honored to participate in the 2016 Traditional Home Napa Valley Showhouse and impressed viewers with her keen eye and fresh perspective. x8 (“Times Eight”) Property and Design is a real estate investment, property management and interior design firm created by former HGTV personality Karen McAloon and her producer Mikel Hubbard. Our goal is to create your perfect space to live, work or rent out that’s built around your taste. We want our clients to feel like every project reflects them, not us. We work with both commercial and residential projects out of San Francisco, Los Angeles and Joshua Tree, CA but are happy to travel wherever we’re needed. From furniture arrangement consultations to whole house remodels to creating offices from the ground up, there isn’t anything we can’t handle. We provide a range of services, and go above and beyond your expectations to deliver quality work on time.